I recently discovered Formiko while browsing Google Plus. (Yes, there are still some people on that platform.) 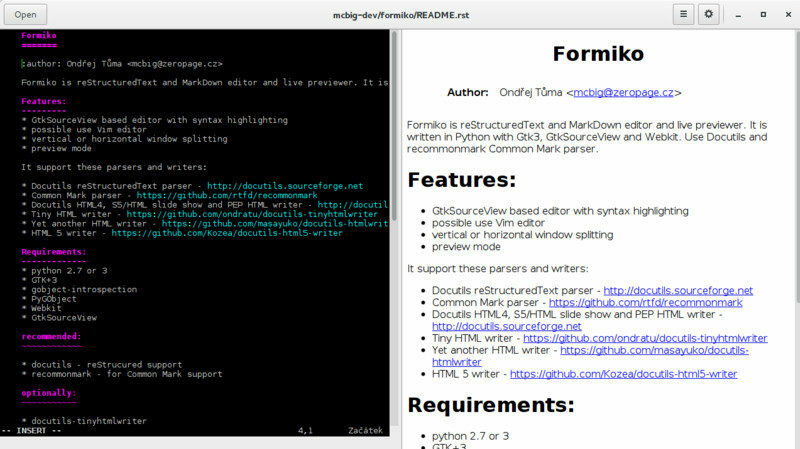 Formiko is an editor for reStructuredText and Markdown. Since I do the majority of my writing in Markdown, I decided to check it out and see if it could be added to our list of best markdown editors. It also gave me the chance to learn a different markup language. Interesting side note: Formiko is Esperanto for ant. I’m sure that there are a number of people who have never heard of reStructuredText. I certainly didn’t before discovering Formiko. reStructuredText is part of the Docutils project. reStructuredText is used by Python programmers to created technical documentation. How is reStructuredText different than Markdown? Well, both Markdown and reStructuredText both have similar styling and hyperlink capabilities. However, since reStructuredText is designed to create documentation it supports endnotes, tables, and footnotes. Vanilla Markdown does not natively support tables, but other variants do. I installed Formiko on Ubuntu Budgie 18.04. It was in the repos, so that part was painless. When it installed it added two entries to the application menu: Formiko and Formiko Vim. When I clicked Formiko Vim, the application opened, but the editing window was unusable and an error window popped up telling me that Ubuntu had encountered an error. One thing that annoyed me when I used Formiko was that the preview pane would stay blank until I saved the file. Maybe had had something to do with the fact that it didn’t know whether I was using reStructuredText or Markdown until the file was created. Another thing that I didn’t like was you can only export your work to HTML files. My Markdown editor of choice ghostwriter using Pandoc, so you can export to many different formats including .doc, .odt, and .epub. That comes in handy for me. One thing I will say is that Fomriko ran very smoothly. Someone commented on the web that it had better performance because it was not based on Electron. While I have no bone to pick with Electron (I use Visual Studio Code after all), it’s nice to have native performance. 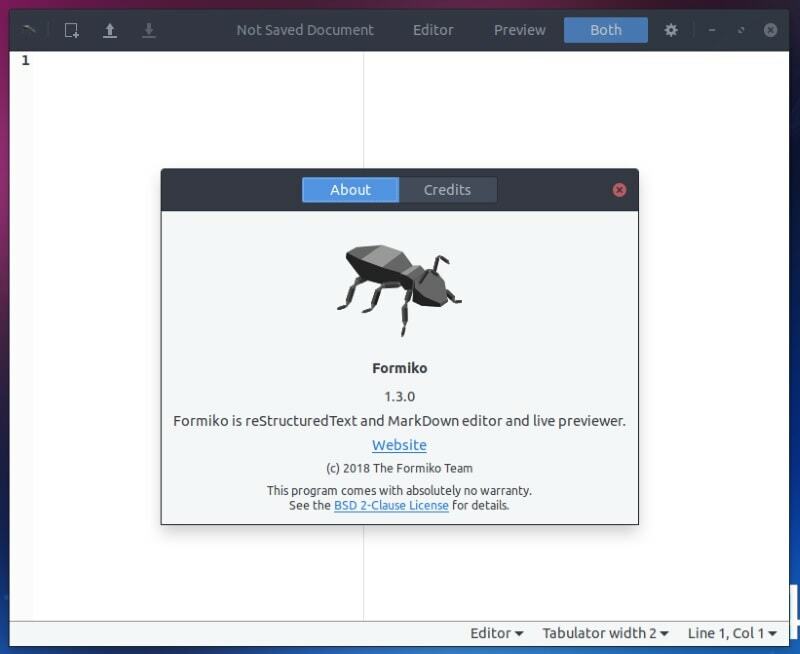 Formiko is available on Linux and BSD. It’s not a bad little app, but I’ll stick with what I’ve got. Have you ever used Formiko? What is your favorite reStructuredText or Markdown editor? Let us know in the comments below.